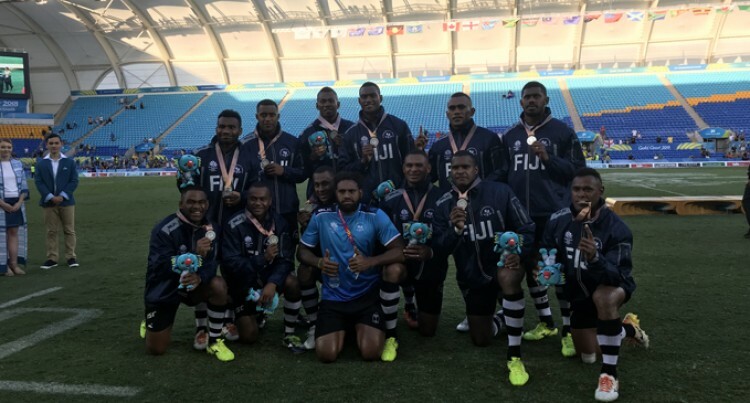 Team Fiji men’s rugby sev­ens coach Gareth Baber was disappointed after they lost 14-0 to New Zealand in the Commonwealth Games 7s final at the Robina Stadium in the Gold Coast, Australia, yesterday. Speaking to the Fiji Sun after the loss, Baber said they knew it would be tough, especially when they had to send their number one team to Hong Kong. “That was the task we did, but the other teams didn’t,” Baber said. Looking back at the final, these are the five reasons we came sec­ond best to the Kiwis. Baber believes we allowed New Zealand to take control of the pace from the start. We played catch-up rugby. When we were 14-0 down the Kiwis knew what to do to keep us at bay. Again we needed a leader among the forwards. After we lost Semi Kunatani in the semifinal, the load was heavy for Captain Seremaia Tuwai. We wonder why Jasa Veremalua wasn’t brought in earlier; it would have been better to have included Isake Katonibau in the Games squad. Indiscipline again reared its ugly head. The Kiwis used Sam Dickson and a few others to infringe and this angered Se­vuloni Mocenacagi and Vatemo Ravouvou. Mocenacagi copped a yellow card for a dangerous tack­le on Dickson, making matters worse for us. We still need to work on our support play. We missed four scor­ing opportunities simply because no one was following the ball car­riers. We’ve become too predictable. The Kiwis studied our moves, especially our offloads and they worked out a way to counter it. This time when they go in for the tackle they either wrap up the man, ball and all, or they rip the ball off to disrupt whatever inten­tions we may have. Now it’s all water under the bridge. The focus is on the up­coming Singapore Sevens and the chance to win the HSBC World Sevens Series before we turn our attention to the Sevens Rugby World Cup in July.